MONSOON is just a one word horror story for your hair. Fizziness and hair fall have never done any good to anyone. 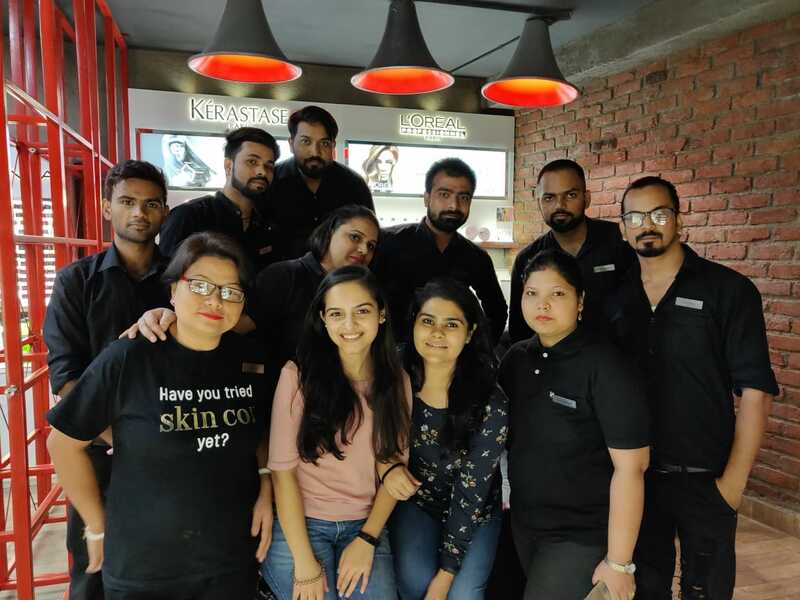 We have a million questions for our hair and no one to answer them; hence mydala went to Monsoon Salon in Kailash Colony! We did a live Facebook session with the super warm and welcoming staff there. They were patient enough to hear all our queries and answer them without a second of hesitation. The salon is located on the first floor near Juggernaut café, Kailash Colony. As soon as you enter you are greeted by Pratibha, the administration head at the reception area. She will assist and guide you with the services you can and should avail. That’s not all; everyone in the staff greets you with big wide smiles and are more than happy to serve you. Since we wanted to address our hair care woes, we were taken to Suresh, the senior hair expert at the salon. Suresh definitely was a hair whisperer; he has been dealing with hair care and all its different moods for a very long time. We bombarded him with questions about hair and he was a pro at answering them! 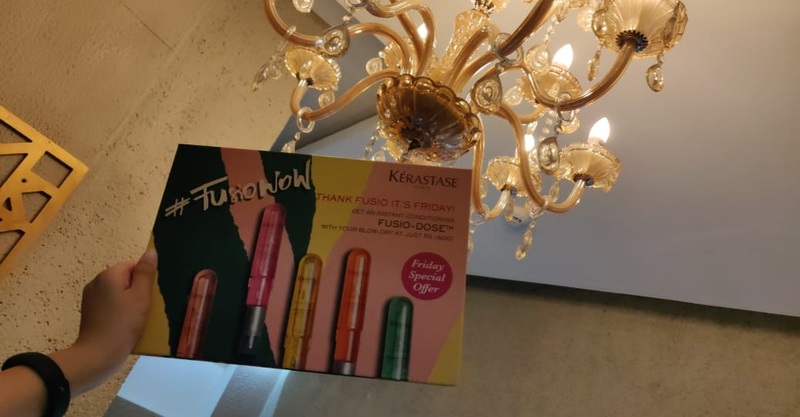 He also showed us the super luxurious Hair and Scalp Institute by Kérastase, where your scalp is zoomed in 600 times and provided services according to your needs. We just didn’t want to leave the room! 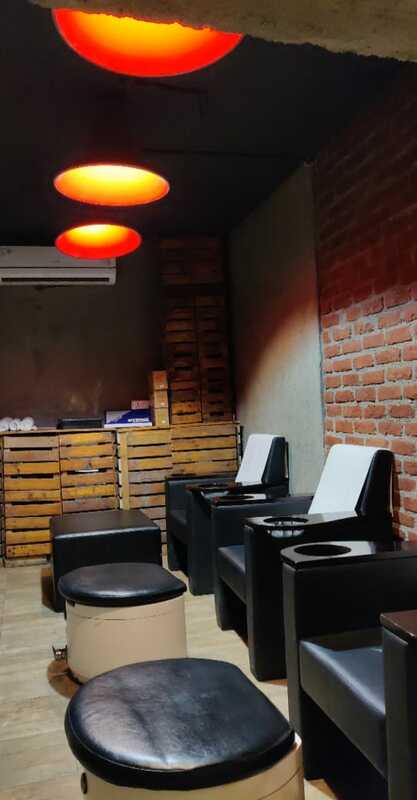 Apart from that, Monsoon Salon, Kailash Colony has pedicure and manicure stations, which are perfect to spend a pampering day with your girls. I have personally gotten a hair cut from Monsoon Salon earlier and I wasn’t disappointed at all! My stylist was extremely patient and listened to all my needs; and I can assure you that the result was even better than what I had expected! Now I know where I need to go to get all my hair care issues solved! Bura na maano... Holi hai!